In this article we will discuss why Ceph is Perfect fit for OpenStack. We will see how to integrate three prominent OpenStack use cases with Ceph: Cinder (block storage), Glance (images) and Nova (VM virtual disks). Ceph provides unified scale-out storage, using commodity x86 hardware, that is self-healing and intelligently anticipates failures. It has become the defacto standard for software-defined storage. Ceph being an OpenSource project has enabled many vendors the ability to provide Ceph based software-defined storage systems. Ceph is not just limited to Companies like Red Hat, Suse, Mirantis, Ubuntu, etc. Integrated solutions from SanDisk, Fujitsu, HP, Dell, Samsung and many more exist today. There are even large-scale community built environments, Cern comes to mind, that provide storage services for 10,000s of VMs. In this article we will setup a Ceph 1.3 cluster for purpose of learning or a lab environment. For this environment you will need three VMs (ceph1, ceph2 and ceph3). Each should have 20GB root disk and 100GB data disk. Ceph has three main components: Admin console, Monitors and OSDs. Admin console – UI and CLI used for managing Ceph cluster. In this environment we will install on ceph1. Monitors – Monitor health of Ceph cluster. One or more monitors forms a paxos part-time parliment, providing extreme reliability and durability of cluster membership. Monitors maintain the various maps: monitor, osd, placement group (pg) and crush. Monitors will be installed on ceph1, ceph2 and ceph3. 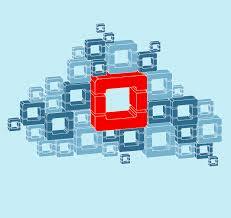 OSDs – Object storage daemon handles storing data, recovery, backfilling, rebalancing and replication. OSDs sit on top of a disk / filesystem. Bluestore enables OSDs to bypass filesystem but is not an option in Ceph 1.3. An OSD will be installed on ceph1, ceph2 and ceph3. Since joining Red Hat in 2015, I have intentionally stayed away from the topic of storage. My background is storage but I wanted to do something else as storage became completely mundane and frankly boring. Why? Storage hasn’t changed much in 20 years. I started my career as a Linux and Storage engineer in 2000 and everything that existed then, exists today. Only things became bigger, faster, cheaper, due to incremental improvements from technologies such as flash. There comes a point however, where minor incremental improvements are no longer good enough and a completely new way of addressing challenges is the only way forward. I realized in late 2015 that the storage industry is starting a challenging period for all vendors but, didn’t really have feeling for when that could lead to real change. I did know that the monolithic storage array, built on proprietary Linux/Unix, with proprietary x86 hardware we all know and love, was a thing of the past. If you think about it storage is a scam today, you get opensource software running on x86 hardware packaged as a proprietary solution that doesn’t interoperate with anything else. So you get none of the value of opensource and pay extra for it. I like to think that economics like gravity, eventually always wins. In this article we will look at how to deploy Red Hat OpenStack Platform 8 (Liberty) using Red Hat OpenStack Director. In a previous article we looked at how to deploy Red Hat OpenStack Platform 7 (Kilo). The first release of OpenStack Director was in OpenStack Platform 7 so this is the second release of OpenStack Director. One of the main areas where distributions of course distinguish themselves is in regards to the installer. As you will see in this article, Red Hat’s installer, OpenStack Director is far more than just an installer, it is a lifecycle tool to manage the infrastructure for OpenStack. OpenStack Director is based on the upstream OpenStack foundation project TripleO. At this point, Red Hat is only distribution basing it’s installer on TripleO, hopefully that changes soon. All other distributions use either proprietary software or isolated, fragmented communities to build OpenStack installers. Beyond installing OpenStack, lifecycle management is mostly an afterthought. Installing OpenStack is of course the easiest thing you will do, it isn’t a big deal anymore. If your serious about OpenStack you will quickly realize things like updates, in-place upgrades, scaling, infrastructure blueprints and support lifecycles are far more critical.